These are the perfect Rock and Pop Function Bands for weddings, corporate events & parties in Northamptonshire, locally sourced by our entertainment experts. 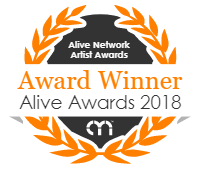 Find the best Northamptonshire Rock and Pop Function Bands only at Alive Network, the UK's biggest entertainment agency. This incredible 4 piece band are fronted by X Factor contestant (2015 Series) Jamie and are available nationwide to perform at your event! With an exciting repertoire of Pop/Rock/Indie/Funk and Soul, trust this talented band to keep your guests on the dance floor and jumping around all night long! Renowned for keeping the dance floor full with a high-energy mix of rock, pop, funk, disco and indie covers, Koola are a highly experienced 6 Piece band who have performed at hundreds of events including weddings, corporate functions, festivals, university balls, and private parties. Exciting, current & experienced, PHD are a quality band with a huge sound! This fantastic three piece perform the latest chart hits plus unforgettable classics! Alive Network are the largest Function Band agents supplying Northamptonshire and one of the leading entertainment agencies in the world. We specialise in booking Rock and Pop Function Bands for weddings, corporate events and private parties.